Little Miss Sure Shot is a fictionalized account of the life of Annie Oakley, drawing heavily on the real timelines and events of her life. 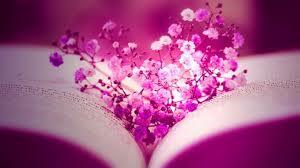 However, the book is not a biography - it invents situations, people she meets, and a myriad of conversations. Moreover, while the book is presented chronologically, apart from the prologue, it skips certain periods and attempts to focus on those that are especially vital, such as the early years Annie spent with Buffalo Bill's Wild West Show, including the tours through Europe. A special feature of the novel is the framing of Annie's loving marriage to fellow sharpshooter Frank Butler, whom she married at sixteen and remained married to for 50 years until her death. Frank was far more than just her husband - he was her manager (he gave up his own shooting for that role) and her constant companion. The novel closes with an epilogue in Frank's voice, presenting an overview of their lives together and the circumstances of her death in 1926. 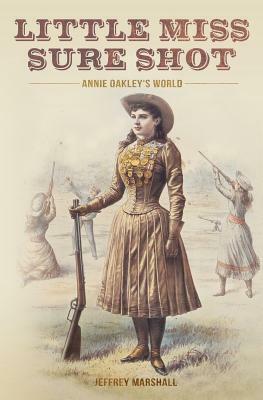 This is a fantastic book about the life of Annie Oakley, from her early life in Ohio to when she passed away. The author is able to bring you to the beginning when she began to shot for food for her family after her father passed away. Using a Kentucky long rifle she was bringing home rabbits and squirrels, and most of the time she was able to shot the head off the squirrel. She soon found out that a man who ran the local store a few miles away would pay for animals like squirrels if their heads were shot off and after a while she was making .50 cent that would also help her mom, sisters and brother. Soon she was gaining a reputation as an excellent shot and was starting to outshoot the local men in competitions. Soon she was having her brother help set up targets for practice and all would be at different heights and angles. Then she would go through her practice of firing, reloading, then with her back towards the targets turning and firing. This was just one of her practices. By the age of fifteen her reputation was starting to grow and a promoter for a fair asked if she would like to compete against Frank Butler, another sharp shooter, and she agreed. When they meet they both were taken with each other but he was 10 years older than her. After she gained her composer she ended up defeating him. This meeting would turn into a lifelong affair, they were married almost a year later. They would begin touring putting on shooting demonstrations and she would still compete when the opportunities would come up. They were making a decedent living when the opportunity came to join Buffalo Bill’s Wild West Show, the only thing was they just wanted her not Frank. They agreed that Frank would be her manager and she would join the show. This where she really became famous doing her trick shots from, horses, bicycle, running, Frank tossing glass globes in the air, and then later her shooting from behind looking through a mirror. This had to be an amazing performance, I have problems shooting looking straight ahead without a mirror. This show and her shooting took her to Europe where she meet Kings, Queens, Princes, Dukes, and other royalty. She was invited to go hunting with these men and always came back with more birds, she would also out shot them in a completion when someone would say for her to let them win she would say that is not how it is done in America. She became good friends with Libby Custer, her husband taught her to read and wright. After a horrible train accident in 1901 that broke her leg and injured her back she stopped touring with the show, she had to have a few surgeries. In 1904 she sued Hearst newspaper for libel for a story that was about a women with the same name but spelled the same. Hearst would not print an apology so she sued and won 54 out 55 cases having to travel to each town or city for the trials and it cost her more than what she won but for her it was about reputation and not letting Hearst get away with lies. This part of her story I had never heard before, good for her. Her and her husband settled in Pinehurst, North Carolina, and would eventually open a gun club to teach people how to shot, and safety around weapons, she would go on in her fifties and sixties doing demonstrations and still shooting 100 out of 100 clay pigeons which is amazing. This is a fantastic book about an extraordinary women who stood only five feet tall but was a giant to many. To have her mother tell her before she passed that she was proud of her world traveler and would have never expected her to be the one out of all her children to see and do what she did probably meant more to her than all of those things combined, that is what a child wants to hear, that their parent is proud of them. She had come full circle. The sad part of the book is that Annie got sick and made Frank go to Detroit for a shooting convention they agreed to speak at. Frank took ill when he got their and was rushed to the hospital and three days later found and out that Annie had passed, he would pass in eighteen days. Her family made sure that they were together in the family cemetery. A fantastic book about a strong women and a strong couple. I normally don’t give stars but five out of five. I got this book from net galley. 5 STARS.